Coming soon to your Instagram feed. Federal NDP Leader and motivational quote generator Jagmeet Singh poses in Brampton, Ont. on July 1, 2017. Your weekend ended before you got to enjoy it and now the monotonous monster that is Monday stands in your way. Even worse, yourfavourite daily routine of watching question period in the House of Commons is on hold, because MPs aren't in Ottawa this week. 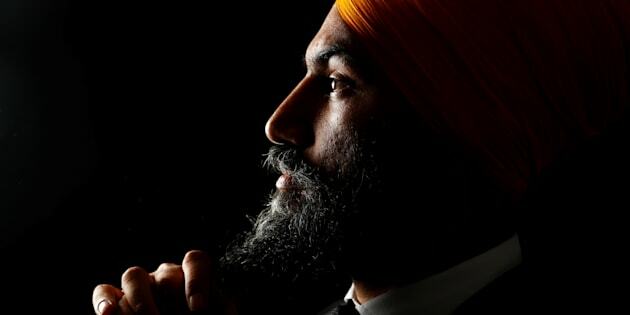 To keep your spirits up, we've crafted some inspirational posters to keep you marching through the week — and they're all based on tweets from federal NDP Leader Jagmeet Singh. Conservative Leader Andrew Scheer and Prime Minister Justin Trudeau also have some poster-worthy quotes, of course, just maybe not as ... poetic, shall we say, as their NDP counterpart.